Today was a day that our boys will not easily forget… Compelled by the need to fumigate, we decided to make it a day at the Beach, as the Home was being fumigated. We invited a few friends to join us, and packed food, snacks, drinks, games and a football (donated by a new friend, Pastor Kban) for a fun-filled day. 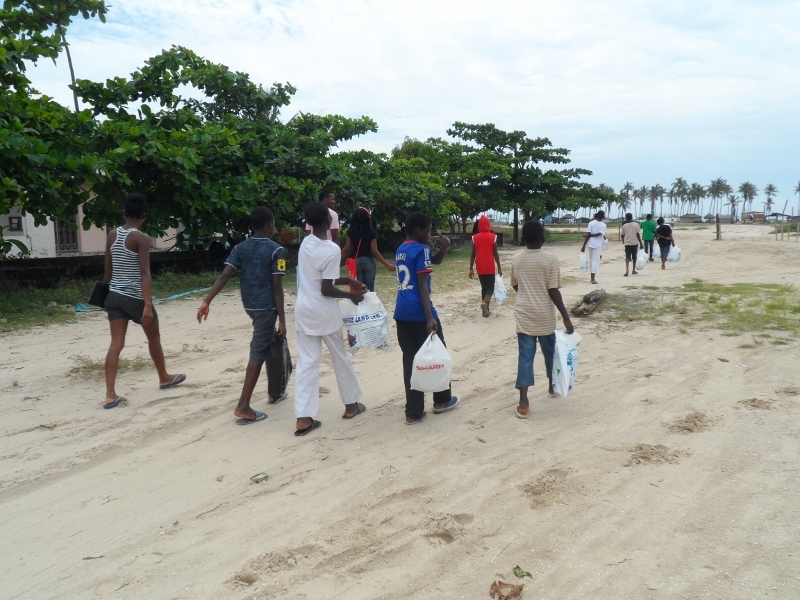 Fortunately for us, Lekki Beach is just a stroll away from the Home, so we all carried a little bit and took a pleasant walk to the beach. With us were Toju Ashogbon and Yemi Adedeji, two ardent volunteers who have become regulars at the Home. The boys had been looking forward to the outing all week, and were not disappointed. Immediately we got there, we settled down to some lunch (jollof rice, chicken and coleslaw – Saturday’s lunch special), prepared by Chioma (our cook). The boys enjoyed their meal with cans of soft drink too. 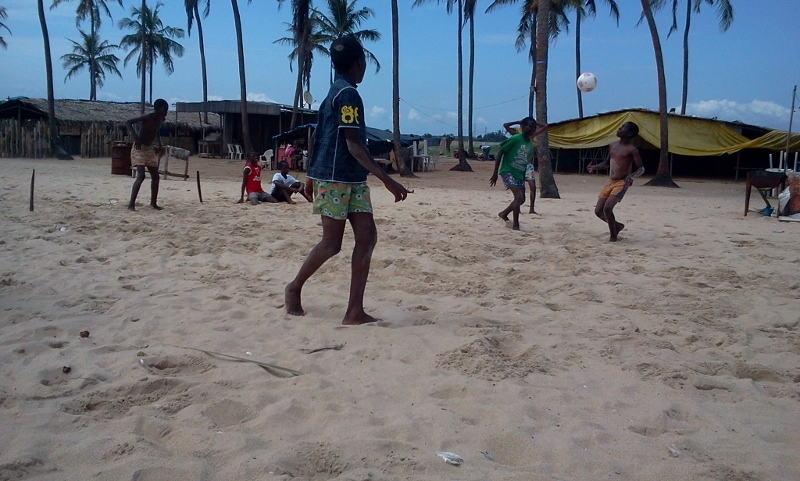 They were eager to play football and dance, but before any vigorous activity, Yemi engaged them in a fun, but educational, game called ‘Box’. They really enjoyed it, even though it took some of them a little while to get the hang of it. After a few other relaxing games, the party started with dancing! All the people at the beach looked on amazed, wondering whose birthday it was, because the boys were all so happy. They danced wildly and excitedly, and showed off their different talents and steps to the beats playing. They also did some dancing competitions, including musical statues and musical chairs, and three of them won prizes in chocolate bars and biscuits! Toju’s friend, Ofure, also came around and brought caprisonne and other treats for the children. After they’d had enough of dancing, Toju divided them into four football teams, comprising three players each. Each team chose their favourite football team to be named after (Brazil, Spain, England and Argentina), and Toju supervised their tournament games. Team ‘England’ won the day! Following the tournament, they played some other games, including various board games and played on the sand too, building cities and sand castles. As they played, they enjoyed the treats that had been brought for them by Ofure, and some other snacks we’d packed as well. 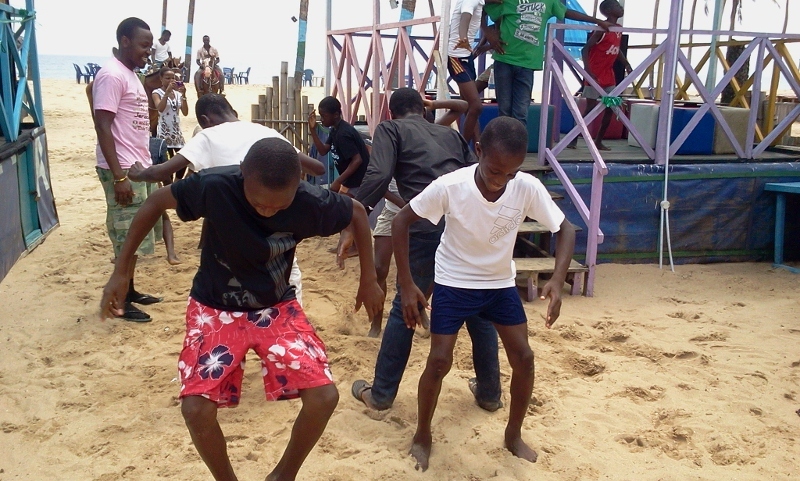 They were truly spoilt for fun, and you could just tell they were having the time of their lives! It was good too, because this week, they started school, which they had been eagerly waiting for. They are each attending private primary and secondary schools locally, and have applied themselves to learning. We have been really pleased to see them making efforts to do their homework without prompting, and also putting in extra study to catch up. 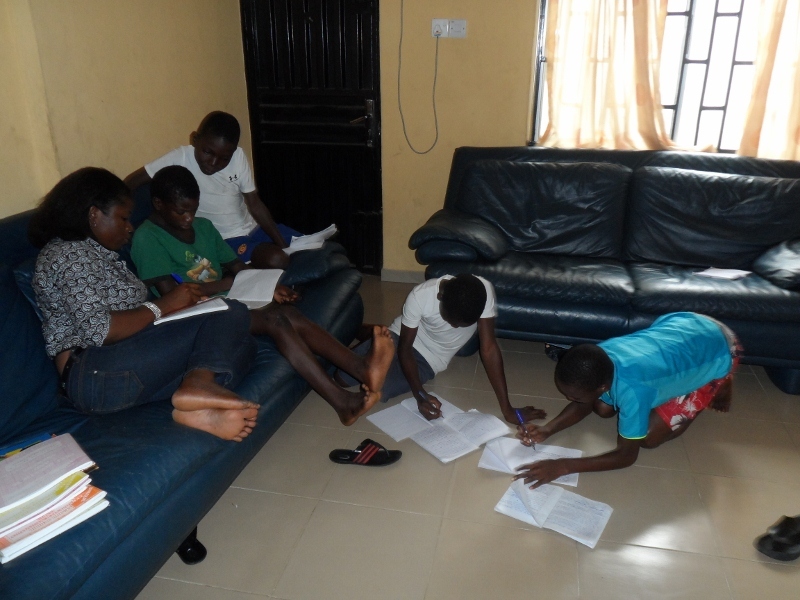 The three boys in SS3 are particularly determined, as they would like to be ready for their WAEC exams next year. Yemi also came around in the week to help them with their homework, and is planning on coming twice a week to assist them, as she can see that they really need the support. We hope that we would be able to reconcile them all with their families within the year, and support them to move on and achieve their potentials. We are glad and grateful for your help, and the encouragement of all our friends. 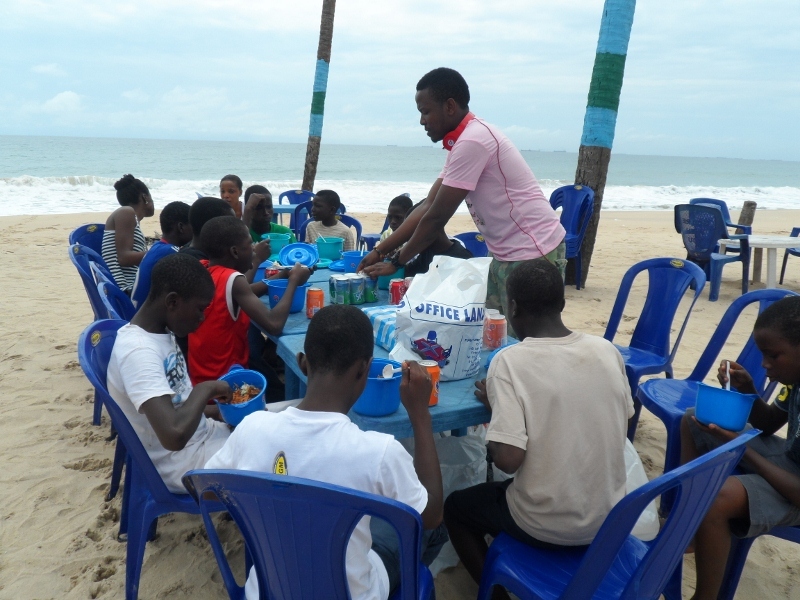 Fair Life Africa Foundation appreciates Toju, Yemi and Ofure, who joined us to make this day a fantastic one for the boys! Please come and party with us next weekend when we celebrate our Monthly Birthday Party! Please bring whatever contributions you can too. The children are in need of more clothes, shoes, books and food provisions in the Home. Thank you.